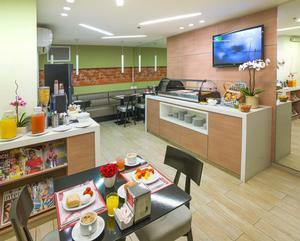 The Armon Hayarkon Hotel offers modern spacious rooms well designed to allow both business and leisure guests to enjoy our facilities including 50 channel Cable TV (LCD 32"),fast Internet access (Free), Refrigerator, safe, hair dryer and more. We make an extra effort to keep all rooms clean and tidy. We have just recently completed renovating all the rooms paying special attention to the fine details. Half our rooms face Hayarkon Street and the sea Marina (within walking distance), the second half faces east. 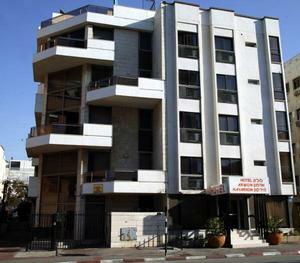 Armon Hayarkon Hotel in Tel Aviv is located at 268 Hayarkon (North) between Yirmeyahu and Nordau Streets. If you are arriving from the domestic airport of Tel-Aviv, we advise a very short Taxi ride of about 5 minutes, public transportation is also available.When coming from South, drive via the coast line of Tel-Aviv, also known as "Tayelet" (Promenade). We are about 5 minutes from the domestic airport of Tel-Aviv, with many nearby leisure and business centres, the sea and Marina are within walking distance. On the Hayarkon Street you will find many foreign embassies, hotels, pubs, and fine dining. 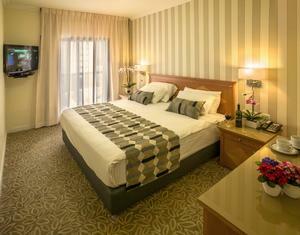 "Hotel was fine for few nights in Tel Aviv. For the rate, it is good value for the money. Locati..."